How Does Website Analytics Impact the Strength of Web Design? Most website owners are familiar with the concept of website analytics. However, most of them use website analytics to calculate site traffic and present the figures to clients. This is because they are unaware of the multiple usage of website analytics. Website analytics, when used correctly, can act as an online shopping solutions tracker, error checker, and even a location tracker. In this article, we will discuss the different ways you can utilize website analytics to your advantage. Most website owners are unaware of the importance of researching about the items that visitors are looking for. Researching about the items that people are looking for, however, is crucial for understanding whether your items are sufficient for fulfilling their requirements. In case you find that they are looking for items not included in your web design, you can redesign your site to incorporate these items. We normally associate the term ‘conversion rate’ with e commerce solutions. However, even if you do not own an online store, you can still check your conversion rate with the help of website analytics. For example, if you own a business website, you can check the conversion rate by calculating the number of people who fill up the ‘Contact Us’ form. Use analytics to calculate conversion rate of your website. If you have started an online store recently, you would be surprised to see how low your conversion rate is (most new online stores have 3% conversion rate). To understand behavior of visitors on your website, opt for a conversion funnel. Conversion funnel highlights the way a customer behaves, starting from clicking on your site to finally, purchasing the item. Setting up a conversion funnel will help you to understand the factors that are preventing visitors from completing the check-out process. In case of any confusion, get in touch with a web designing company. With website analytics, you can understand geographical location of your visitors. Thereafter, you can modify your strategies in a way so that they fulfill requirements of visitors based in this particular location. 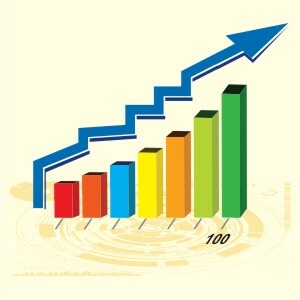 As stated earlier, website analytics is commonly used for calculating bounce rate of a website. If bounce rate of your site is high, it is obvious that certain features of your website are driving away visitors. General factors that contribute to high bounce rate include poor content, website errors, weak call-to-action statements, and broken links. To reduce high bounce rate, you can opt for effective strategies, such as using valuable content and catchy call-to-action statements, and fixing the errors. The above discussion emphasizes on the point that website analytics can be an effective tool for understanding user behavior and modifying Internet marketing strategies accordingly. Therefore, do not limit usage of website analytics in calculating your site traffic only. Research about the different usages of website analytics and you would be surprised to know how it can perk up your marketing efforts. If you require any help, contact any reputed web design company.